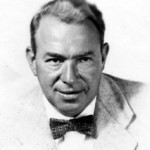 Published in Spring 2015: “Yip Harburg: A Lyrical Activist Against Social Injustice,” by Leigh Donaldson and Ernie Harburg.” Greenwich Village Literary Review, Vol. II, No. 1.